I’m beginning with The Avengers as a preface/#10 because like many of you, I have already seen it. In case you haven’t yet seen it, hopefully here’s what the big fuss is about. After 4 long years in the making, Marvel has put out its best superhero movie ever. 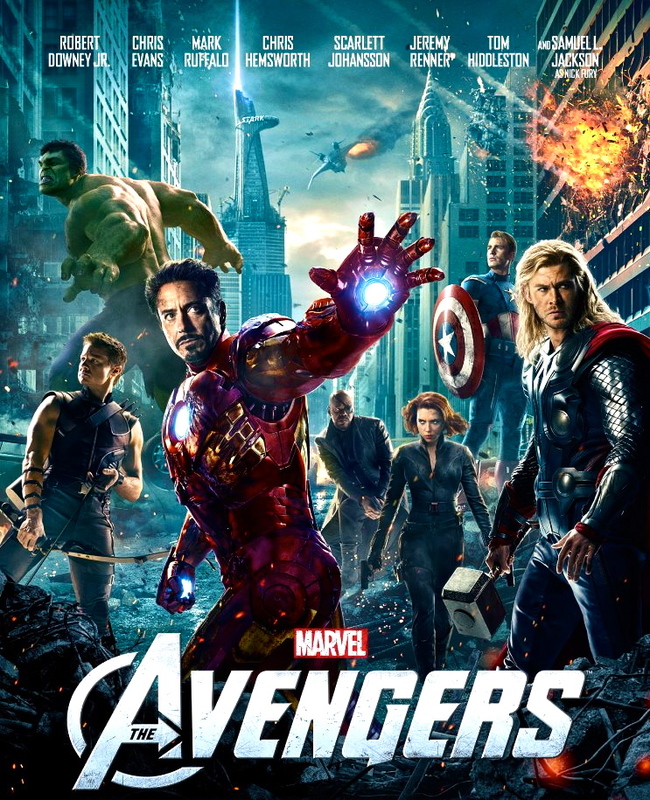 The Avengers maintained a tone of consistency all throughout the movie. Its comedy didn’t alienate or detract from the overall movie (Looking at you, Transformers 2), there was balanced screen time between characters, as well as great character development and continuity from the previous Marvel films. It’s not just a good superhero movie, it’s a good movie period. Simply put, The Avengers is a fun ride from the opening to very last closing credits. If you haven’t yet, go see why The Avengers is the top grossing movie of 2012*. *- As of posting date. MPAA Rating: This film has not yet been rated. 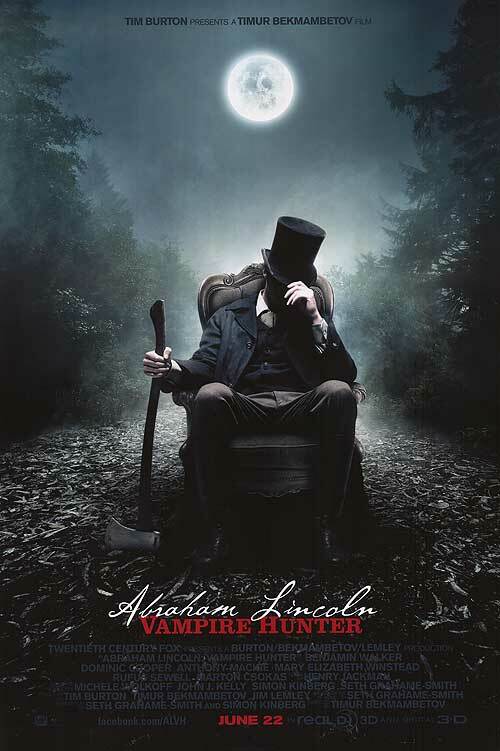 Making the list at #9 is the undead adventure of Abraham Lincoln: Vampire Hunter. Many know Abraham Lincoln for delivering speeches such as the Gettysburg Address and the Emancipation Proclamation. Who knew that Lincoln’s resume would include emancipating the human race from the threat of vampires? In this big screen adaptation of the novel by Seth Grahame-Smith, Benjamin Walker (Flags of Our Fathers, Kinsey) dons the stove top hat under the direction of Timur Bekmambetov (Wanted, Night Watch). It will be interesting the direction this premise goes, whether it’s a serious heart stopper or just another ridiculous summer movie. Either way, Abraham Lincoln: Vampire Hunter will be among the most talked about films of the summer. Abraham Lincoln: Vampire Hunter prowls into theaters on June 22nd. Landing in the #8 spot is To Rome, With Love. Written and directed by veteran filmmaker Woody Allen, this movie follows a small variety of people in Italy. What is drawing me to this movie is the story arc involving Jack, played by Jesse Eisenberg (The Social Network, Zombieland). In it, Jack meets his girlfriend’s best friend, Monica; played by Ellen Page (Inception, Juno). I’m intrigued to see how the on-screen chemistry between Eisenberg and Page will work out. I’m also interested in the comedic performances by Alec Baldwin (30 Rock, The Departed), Penelope Cruz (Volver, Vanilla Sky) and Woody Allen himself, complete with his trademark nervous delivery. If you are a fan of Woody Allen’s work, then you won’t want to miss his latest work. 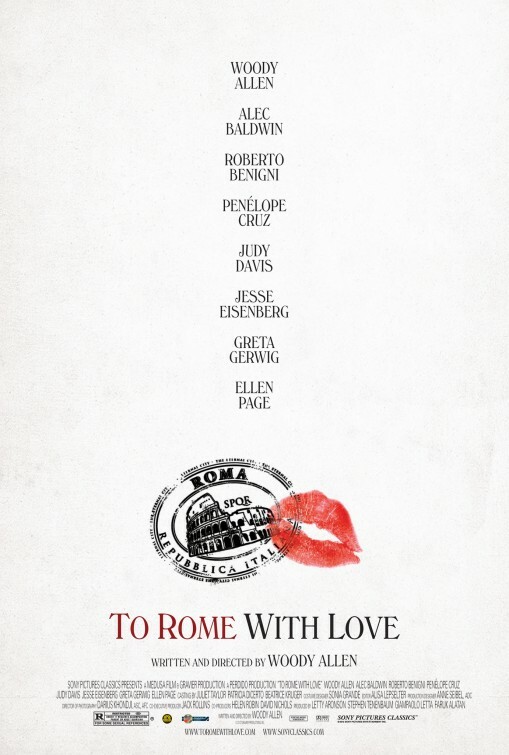 To Rome, With Love arrives in select theaters June 22nd. Wes Anderson’s latest film, Moonrise Kingdom, makes its way on the #7 spot on the list. This movie explores young love in 1965 as a boy and girl escape their respective camps in an effort to be together. All the while, the couple’s disappearance causes a search party to find the teens. With an endearing story complete with colorful characters played by talent such as Edward Norton (American History X, Fight Club), Frances McDormand (Burn After Reading, Almost Famous), and Bill Murray (Lost In Translation, Ghostbusters), Moonrise Kingdom looks be a delightful break to the big blockbuster movies the summer is known for. 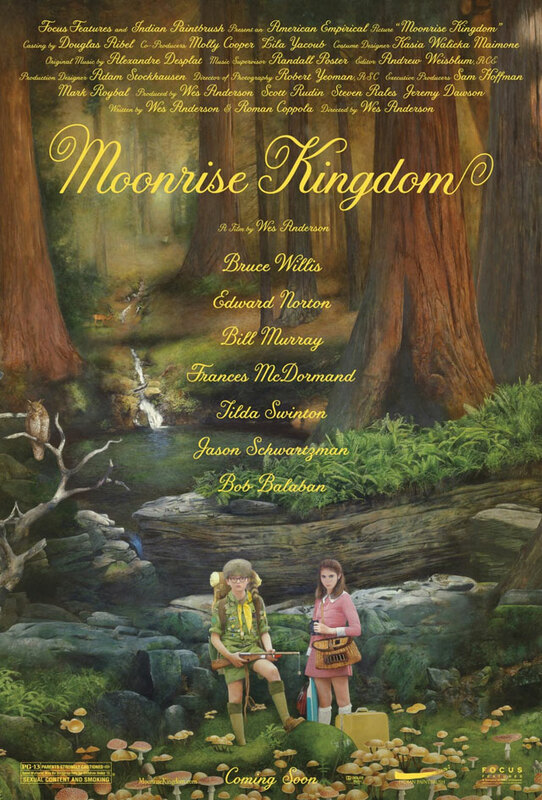 Moonrise Kingdom is in now playing in select theaters. Ruby Sparks makes an appearance on the #6 spot on the summer’s must see list. Paul Dano plays Calvin, a novelist who is dealing with a bad case of writer’s block. It’s at this point when he creates a woman named Ruby Sparks, a catharsis of his ideal woman. The plot thickens when he discovers Ruby (played by Zoe Kazan) has come to life. As this is a dream situation for practically every lonely guy, it will be interesting to see if Calvin follows the advice of his brother by making the most of this opportunity he has been given. While this seems a lot like a grownup version of The Odd Life of Timothy Green (fantasy family film being released on August 15th), it will be interesting to find out if Calvin there is more to this gift than the trailer lets on in this new spin on the “guy meets girl” scenario. 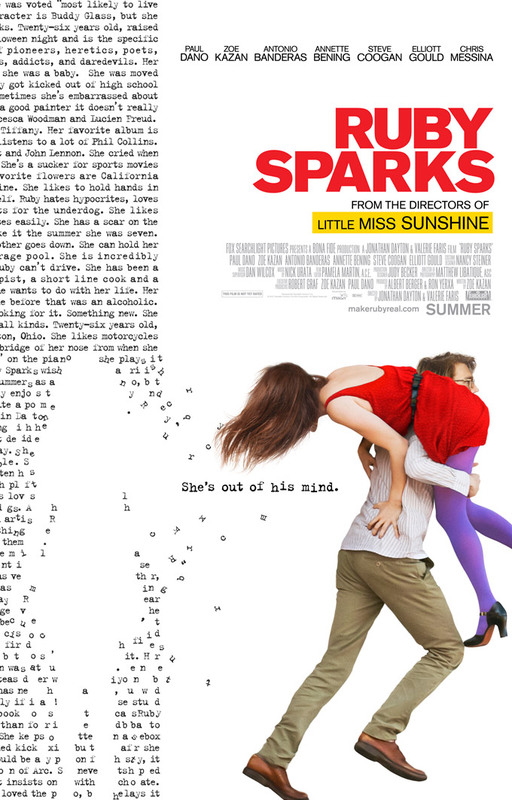 Ruby Sparks appears into select theaters on July 25th. Rounding out the top five is Lawless, which is based on Matt Bondurant’s novel, The Wettest County in the World. Jason Clarke (Public Enemies, Death Race), Tom Hardy (Warrior, Inception) and Shia LaBeouf (Transformers, Disturbia) play a group of brothers in the bootlegging business during Prohibition-Age Virginia. Business becomes more difficult, however, as government agent Guy Pearce (Memento, L.A. Confidential) is looking for a piece of the profits. When you add Jessica Chastain (The Debt, The Help), Mia Wasikowska (Alice in Wonderland, Jane Eyre), and Gary Oldman (The Dark Knight, The Professional) to the mix, you can expect that this film will feature some great performances. 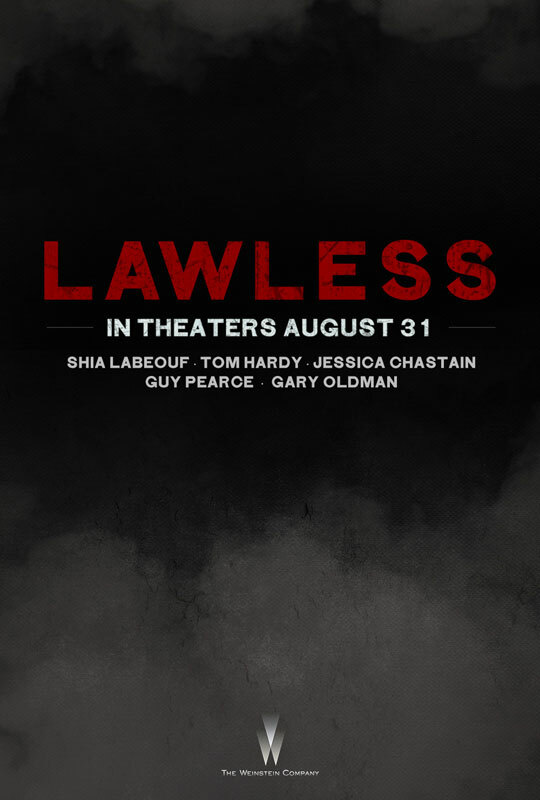 Lawless comes into theaters on August 31st. 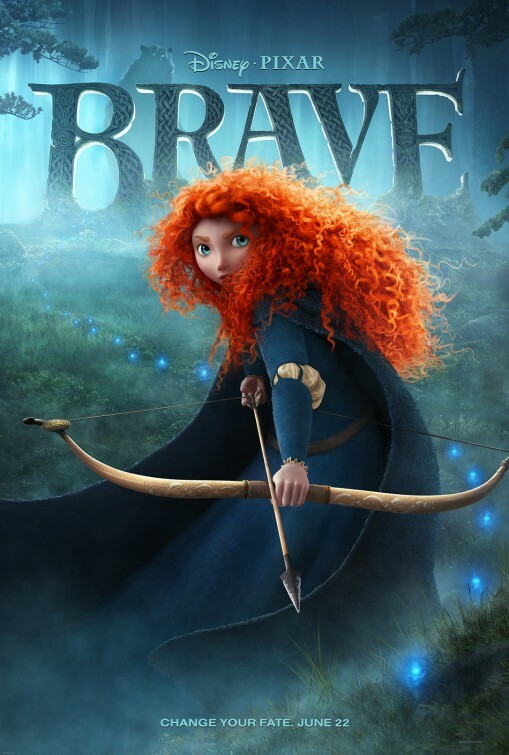 In a Katniss or Hawkeye style fashion, Brave is on target as #4 on the can’t miss summer movie list. The Pixar team is known for their innovative storytelling and relatable characters. In their 13th feature, young Merida is trying to live her life on her own terms which happen to go in opposition to the rigid ways of her mother, the Queen. This movie deserves a place on the list because the Pixar movies have each been progressively better than the last one before it (Cars 2 not included in that statement). When coupled with a relatable premise (child searching for identity) with a daring twist, this could very well be the best family movie of the summer in addition to launching a new breed of Disney princesses. Brave rides into multiplexes June 22nd. Safety Not Guaranteed is guaranteed as the #3 movie on the list. Imagine how you would respond if someone offered you to go on a trip with them. However, it’s not a trip to an exotic location but a trip through time. Comedienne Aubrey Plaza, New Girl’s Jake Johnson, and newcomer Karan Soni play a group of article writers that investigate a similar ad in the newspaper. As the group gets closer and closer to the story, the more people are interested in finding out more about this “time traveler”. This film is already gathering positive buzz on the indie circuit including winning the Waldo Salt Screenwriting Award at the Sundance Film Festival. Although the trailer hints at a direction this movie could go, there is a unique charm to this movie that makes it worth a look. 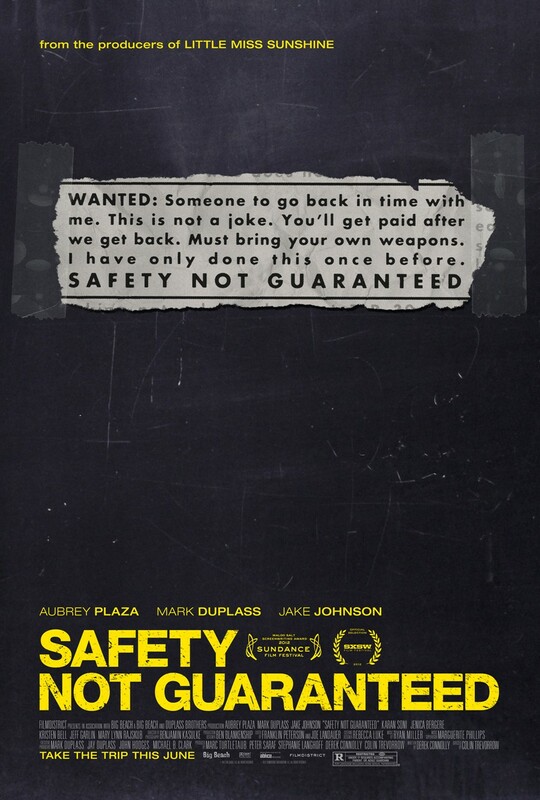 Safety Not Guaranteed will be released into select theaters on June 8th. Reaching #2 on the must-see list is the latest creation from director Ridley Scott (Gladiator, Alien). This time around, the acclaimed director will take us on a ride on the starship Prometheus, as a group of explorers go on a voyage to another planet to discover the origins of humanity. What they actually discover could be doom of the human race. This suspense/horror film comes complete with a stellar cast that features Noomi Rapace (The Girl with the Dragon Tattoo Trilogy [Swedish], Sherlock Holmes: A Game of Shadows), Michael Fassbender (Shame, X-Men: First Class), and Charlize Theron (Hancock, Monster). With plenty of buzz surrounding this movie, I’m very excited to see how this movie will unfold. 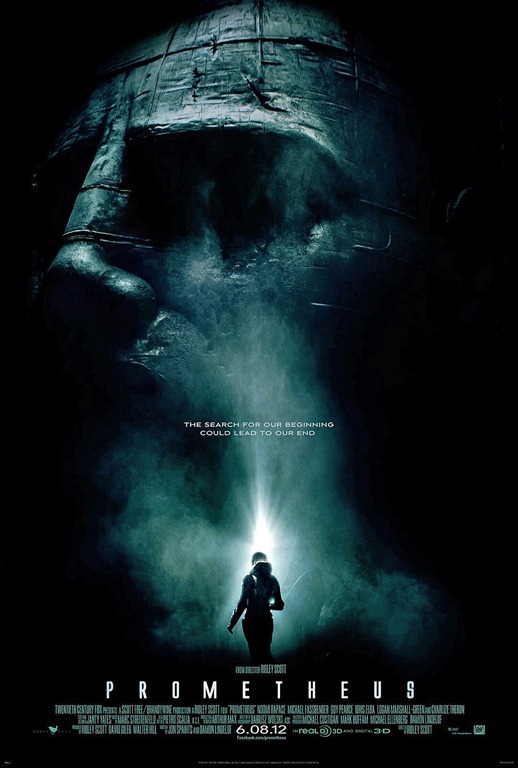 Prometheus lands in the theaters June 8th. Without question, this movie tops my must-see summer movie list of 2012. Eight years after the events of The Dark Knight, Christian Bale returns as Batman, who will face his greatest challenge ever in the form of a terrorist leader known as Bane [played by Tom Hardy]. Michael Caine [Alfred], Gary Oldman [Commissioner Jim Gordon] & Morgan Freeman [Lucius Fox] will be reprising their roles as Joseph Gordon-Levitt [Inception, (500) Days of Summer], Marion Cotillard [Inception, La Vie En Rose], and Anne Hathaway (Alice in Wonderland, The Devil Wears Prada) join the cast. Much like Pixar, Nolan has a very positive track record, is an innovative storyteller and is considered one of the best directors of our time. When you add one of the best ensemble casts of the summer, and a storyline that has left many guessing what will happen, The Dark Knight Rises is shaping out to be one of the best movies of 2012. 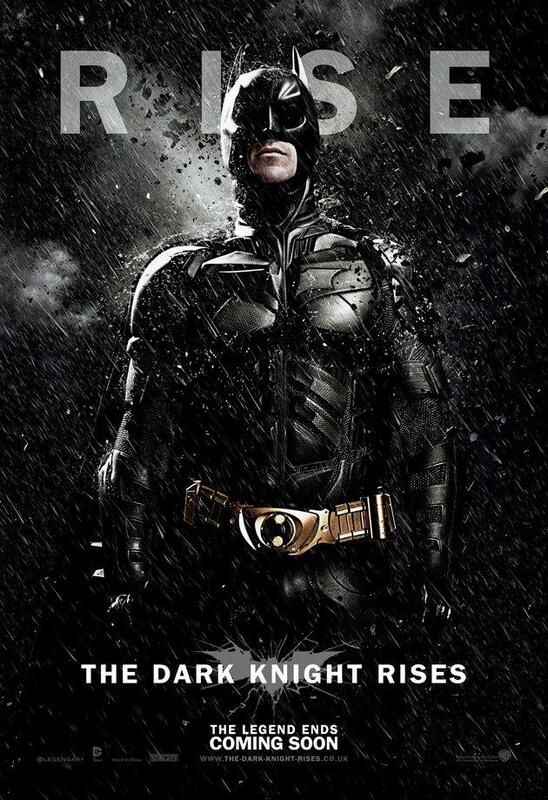 The Dark Knight Rises swoops into theaters on July 20th. So there you have it; my list of the top 10 summer movies that I am looking forward to. I hope that you enjoyed the list and even found a movie or two you might like to check out. Didn’t see the movie you were looking for? As I said, there were trailers for a few more great movies that just missed the cut. Some of the other movies that intrigued me were Savages, Sparkle, The Odd Life of Timothy Green, The Candidate, & Trishna, just to name a few. Leave a comment and let me know why you think it should have been included.